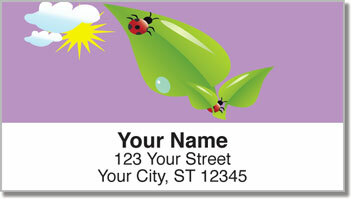 Lovely little ladybugs are some of the friendliest insects you'll ever have the pleasure of meeting! This original design illustrates their recognizable red bodies with tiny black polka dots. 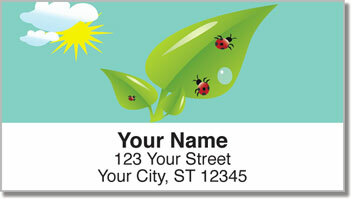 But did you know there are more than 300 species of Ladybugs in North America alone! The colorful beetles can actually be found all over the world, and it just so happens that in almost every culture - the ladybug is considered lucky. Today you're the lucky one for finding these unique return labels. 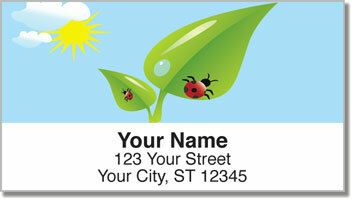 They will save you tons of time preparing mail thanks to a convenient self-adhesive backing. That means no more licking and sticking! 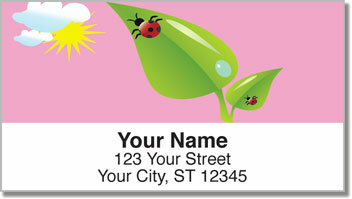 Order your own Cute Ladybug Address Labels now! You can also find this selection as a set of cute personal checks!